Do you feel more like a tiny seed or a giant cedar tree? Wonder how anything can possibly grow from your paltry faith, your singular action, or your tiny congregation? The lessons this week have a hopeful word for you, so do read on. This is a good time to grow disciples, a good season to be the church. In a world of pseudo- and cyber- connections, people still hunger for meaningful relationships. Those buffeted by life’s stormy seas and winds of change seek non-judgmental places where they can learn to rebuild trust and be accepted for who they are and the gifts they bring. All of us want a place where our roots can grow deeply in the nourishing soil of relationship. The church can offer such a place. Most of the time when the term “church growth” is the topic of conversation, it carries the weight of numbers, dollars, and meaningful programs. What if, instead, we took a hint from Jesus’ words in this week’s gospel reading? “The kingdom of God,” he says, “is as if someone would scatter seed on the ground, and would sleep and rise night and day, and the seed would sprout and grow, he does not know how” (Mark 4:26-27)? Instead of letting dark clouds of worry about declining membership and shrinking coffers rain on any guests who come through the door and discourage those already in the pews, focus on what it is about your congregation that you value. What assets–both tangible and intangible–do you possess as a community? Sow your conversation with prayer cast the seeds of vision. This is the time to encourage one another and lift up the many and varied gifts each person in the community brings to the table. According to Ezekiel, God can take a mere sprig from a towering tree and cause it to put forth strong branches and produce much fruit. Even the psalm for this week acknowledges that the righteous planted in the courts of God flourish. 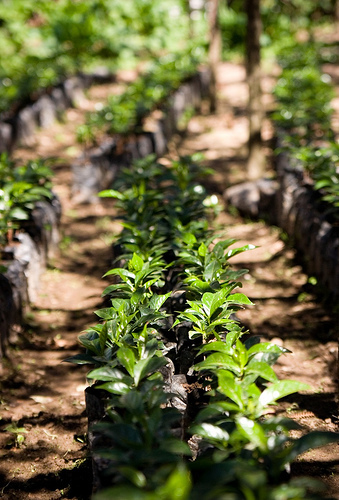 God causes the growth, God is soil and sun and nourishment for the people of God. Even the seed of the common mustard shrub grows and has purpose and meaning. In his commentary on Mark, Binding the Strong Man, Ched Myers says of the mustard seed parable, “There can be no question that this similitude concerning the disproportion between the seed and the mature plant is meant to instill courage and hope in the small and fragile discipleship community for its struggle against the entrenched powers” (p. 179). While a direct comparison between the Jesus community and the Roman Empire and the 21st century church and the current political and economic reality is not an exact one, there is certainly a sense that the church is more marginalized now than at any time in recent history. Thus, these words can offer great hope to faith communities struggling to make sense of a new reality and social context. It also offers strong encouragement to the individual disciple to persevere, trusting God’s provision and presence. 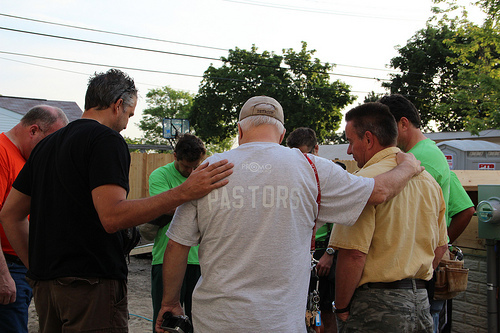 We have important work to do as the people of God right now, right where we are sown. We can speak the countercultural and prophetic message of the Son of God, we can call for a different way of living and stewarding our resources and life together, and we can offer a place of welcome, refuge, and community to all who seek it. So even if we do not resemble the might cedar of Lebanon, God has use for small seeds and gangly shrubs. What birds might need to nest in the strong and welcoming branches of your community? Photos by jakeliefer, smithers66, and wordridden used under Creative Commons License. Thanks! Find a place that’s visible and place a large poster on which you have drawn the branches of a mustard shrub or similar plant. Cut paper leaves and invite people at an appropriate time during your community’s gathering to write ways they see God using either themselves or others in the community to serve and provide a home for all. Provide tape or glue sticks and cover the shrub with a visual image of what God is doing in the life of your community. 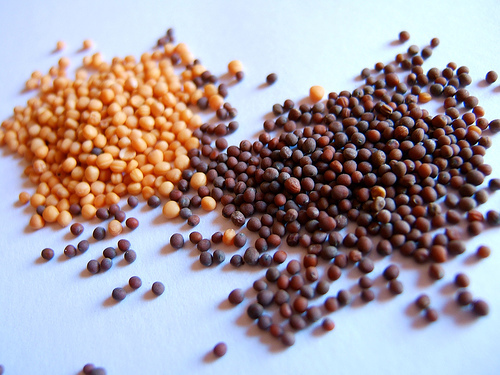 Use the parable of the mustard seed to talk about how God can use even the smallest among us to make a difference. Invite the youth to think about the many ways–both great and small–that they can share the Kingdom of Heaven. Plan a service project or service retreat to sow some “mustard seeds” that will yield good results. Lettuce Adore God! Here’s a project to talk about sowing seeds, God’s goodness, and sharing our bounty. Find a place to plant some lettuce seeds. You can use a seed flat, a large tub, or a space on our church property that is pre-cultivated and ready for planting. Talk to the children about this week’s gospel reading and then have them sprinkle the lettuce seeds on top of the soil. Then have them lightly sprinkle some potting soil on top along with a prayer for that God will help the seeds to grow. Tell the children that with sun, water, and a little care, they will soon have lettuce. Have them watch the progress and then when it is finally time, help them harvest and make a salad to share or bag up the produce and share it with others.